You can speed up multiple business processes with a high quality barcode reader and supporting barcode system. In fact, you can more easily control and track inventory, improve checkout times and more when you implement a barcode system with your business. Tri-State Business Systems has a wide selection of barcode readers from the world’s most recognized and trusted manufacturers, including Zebra and many others. 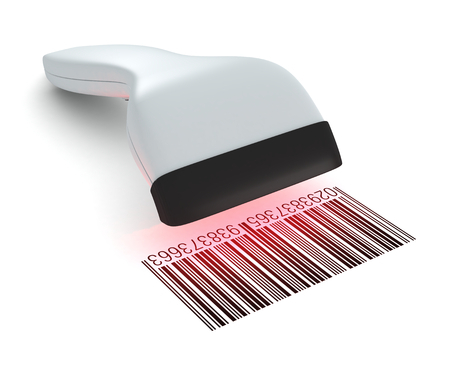 A Zebra barcode reader helps you capture the data you need as you need it. Providing fast and accurate results, a Zebra barcode reader is ideal for broad applications including at retail checkout lines to sell products, in hospitals and clinics to scan medications, on inventory in production warehouses, and more. Tri-State Business Systems can provide you with the barcode readers and supporting equipment you need to complete your system, including a portable printer, RFID scanners and more. By simply equipping yourself with barcode readers and a portable printer, you can speed up nearly any business process. Additionally, we are able to provide turnkey systems for businesses of nearly any size and can help you convert your business over to the system that works best for you. We have worked with many of the fortune 1000 and 500 manufacturers that exist today, and our team of dedicated hardware and software engineers has the skills, knowledge and experience to help you take your business to the next level. Whatever your labeling or barcode needs, we have you covered. Tri-State Business Systems is proud to serve those in Bradley Gardens, Neshanic, Millstone, Blackwells Mills, Montgomery and the surrounding cities, so contact us today for more information or to request a quote for a new barcode reader, portable printer or any other barcode and labeling system equipment or supplies you need to complete your system.